Nearly 200 patients came in during the first 24 hours. The University of Chicago Medicine’s (UCM) new adult emergency department (ED) opened at 7 a.m. on Friday, bringing in nearly 200 patients in the first 24 hours. The $39 million department replaces the previous ED located in Mitchell Hospital that was built in 1983, and acts as the newest, most advanced emergency department of its kind in Chicago. During opening day, Medical Director for the Emergency Department Dr. Thomas Spiegel affirmed a smooth start to the new ED’s operations. “We’ve seen the typical patients that we see in an emergency department: a lot of shortness of breath, asthma exacerbations. And of course it’s a bad virus season so we’ve seen several of those as well,” Spiegel said in a statement to television crews Friday afternoon. 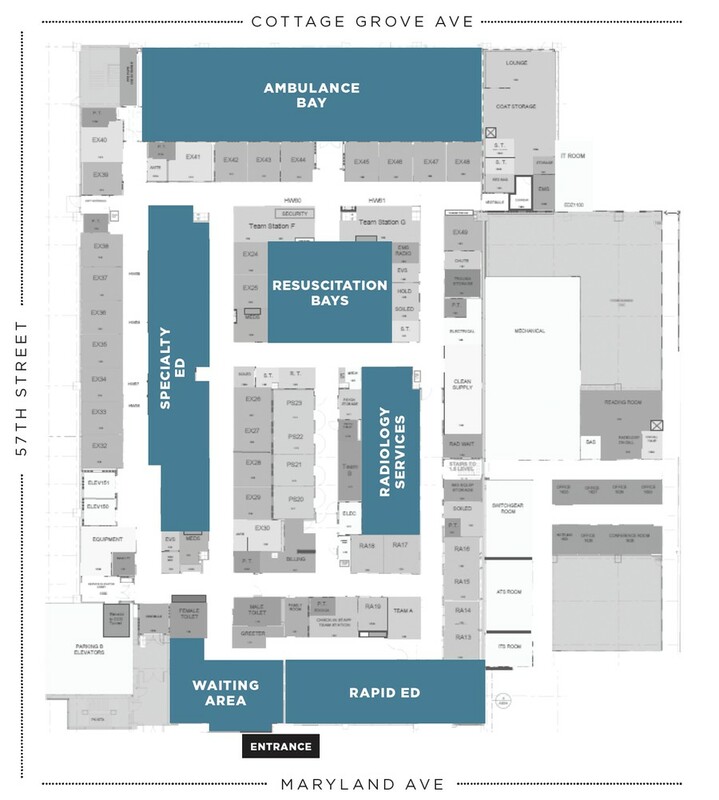 The new ED’s design allows caregivers to better direct patients to specialized care units. A “rapid assessment area” provides a space to determine upon arrival the severity of the illness or injury and direct patients to proper, specialized care. This approach requires an increase in on-staff physicians but allows for a more systematic approach to providing individualized patient treatment. The ED also contains spaces specifically designed for obese patients, a room to assess and treat victims of sexual assault, an area for patients with mental health needs, and the ability to quarantine in the event of contact with highly contagious diseases. UCM invested heavily in new medical technology for the ED. This includes a $2 million CT scanner and two new X-ray machines. “[The new CT scanner] creates a faster, quieter, more comfortable experience for patients,” a UCM press release said. The decision to build the new ED further demonstrates UCM’s commitment to serving the people of the South Side, according to president of the University of Chicago Medical Center Sharon O’Keefe. “Certified minority and women-owned businesses achieved nearly $5.8 million in economic benefit from this project, and minority and women trade workers earned $1.9 million in paid wages,” O’Keefe said in reference to South Side businesses. The ED will be a major component of UCM's Level 1 adult trauma care services, which will open in May 2018 pending approval from the Illinois Department of Public Health. After receiving state approval, the ED will serve as one of five Level 1 adult trauma centers located within the Chicago city limits. A step toward the South Side's only adult trauma center.